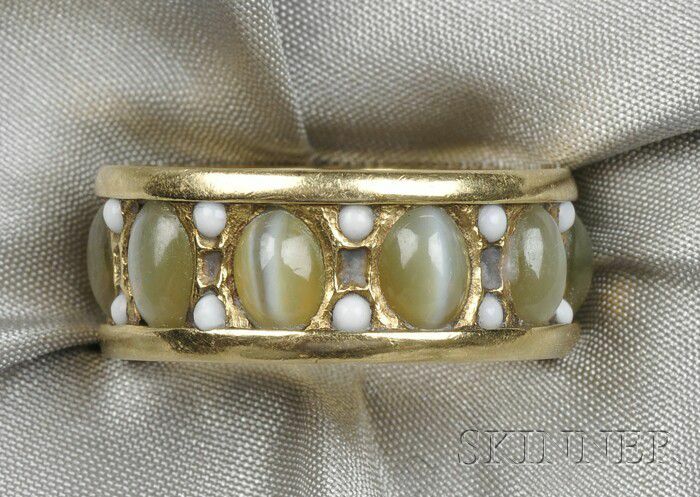 18kt Gold and Cat's-eye Chrysoberyl Wedding Band, designed and worn by Margret Craver, set with ten oval cabochons spaced by white glass beads, size 6 1/2, unsigned. 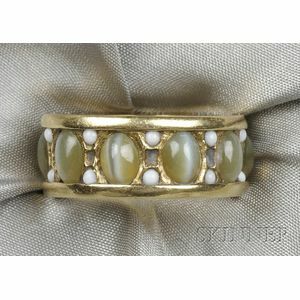 Mr. Miller has looked at this ring, and says he did not make it for Margret Craver. He did however make lots 427 and 429 for her. They were good friends and those lots were make specifically for her.